This adds a nice new feature to target competitors and gain regional information. 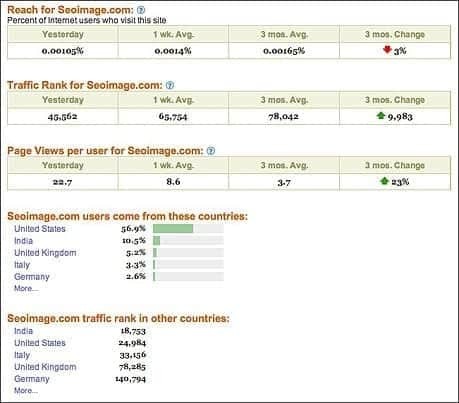 Its nice to see traffic rankings by region and how they add up to the final numbers we see in the Alexa toolbars. Most users do not know that using a toolbar can be a cause for getting private URLs or test URLs spidered. Remember that Search Engine Spiders and analytical tools are data hungry, so an way they can gain access and talk back, they will take complete advantage of. Sometimes this information is also inaccurate, as some of our clients have an Alexa detail section titles “Other Sites Owned” yet they do not own the other sites, they simply have a similar business address – meaning the same building – so sometimes automated features fumble.